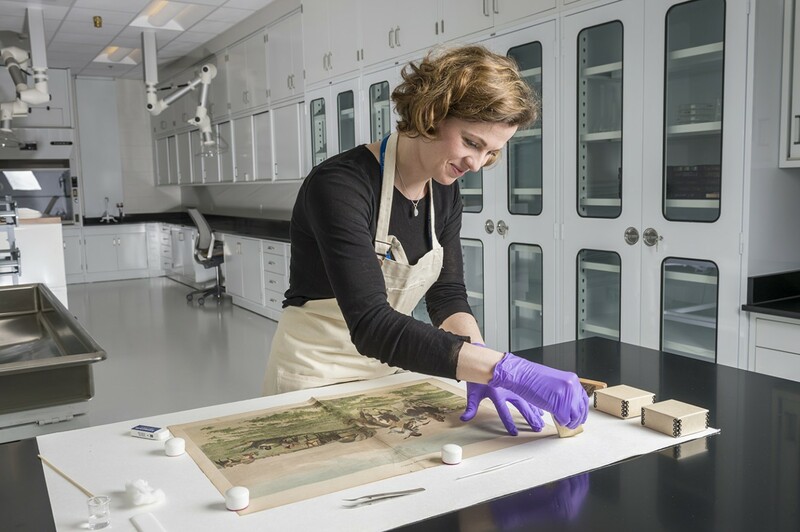 Joanna Didik, conservator, works in the paper conservation lab at the Helmerich Center for American Research at the Gilcrease Museum. Image courtesy of the Gilcrease Museum. 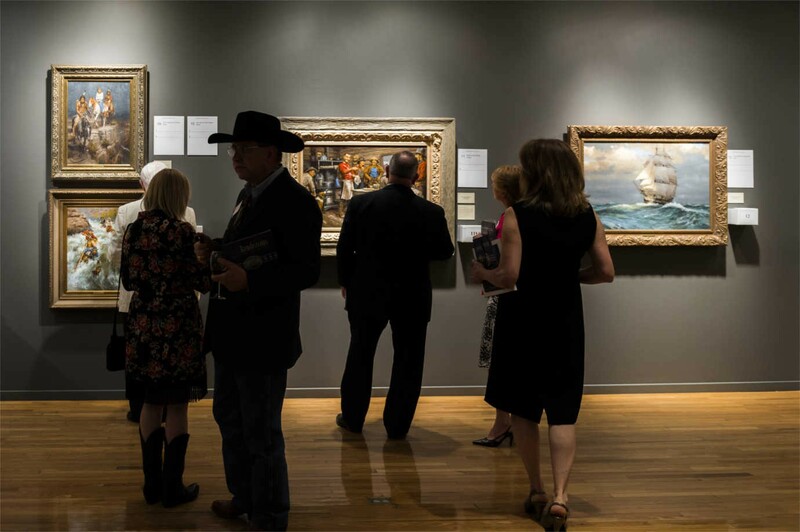 With one of the world’s greatest collections of art and artifacts pertaining to the American West, the Gilcrease Museum was founded in 1949 by Thomas Gilcrease, an Oklahoma oilman. The Museum houses his collection of more than 12,000 works of art and more than 100,000 paper documents. These include Frederic Remington’s depictions of nineteenth-century Native Americans and cowboys; Albert Bierstadt’s awe-inspiring landscapes; and Benjamin Franklin’s certified copy of the Declaration of Independence, which he carried with him as an envoy to France. Until recently, however, the Gilcrease did not have a chief conservator: someone to make sure that its collections were consistently cared for and protected. With a challenge grant from the National Endowment for the Humanities, which helped it raise an additional $1.2 million, the Gilcrease was able to endow a chief conservator position. The Gilcrease possesses a rich collection of American artworks. Image courtesy of the Gilcrease Museum. 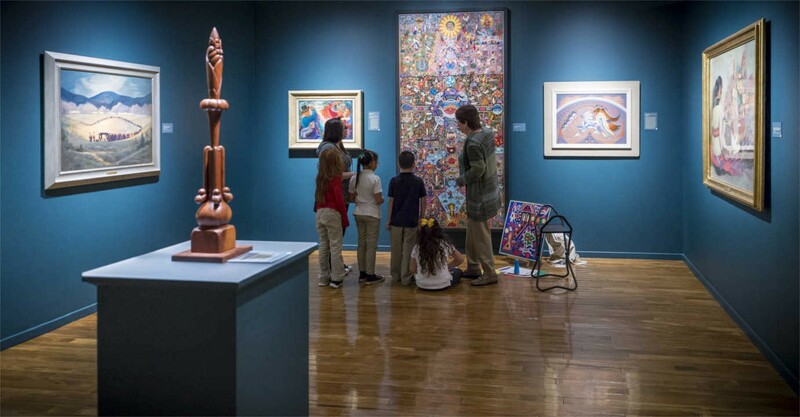 Guests explore an exhibition on the life of Frida Kahlo at the Gilcrease Museum. Image courtesy of the Gilcrease Museum. Today, chief conservator Joanna Diddick maintains the museum’s valued collections and keeps them safe. She ensures that items are being handled and displayed correctly, whether they are in a museum exhibition or part of its traveling programs. Because the Gilcrease’s collections are sought for display at museums around the world, she also makes certain that items on loan are in good condition to travel. And this is in addition to conserving the Gilcrease’s actual artifacts, work that keeps these collections intact and available to the public. 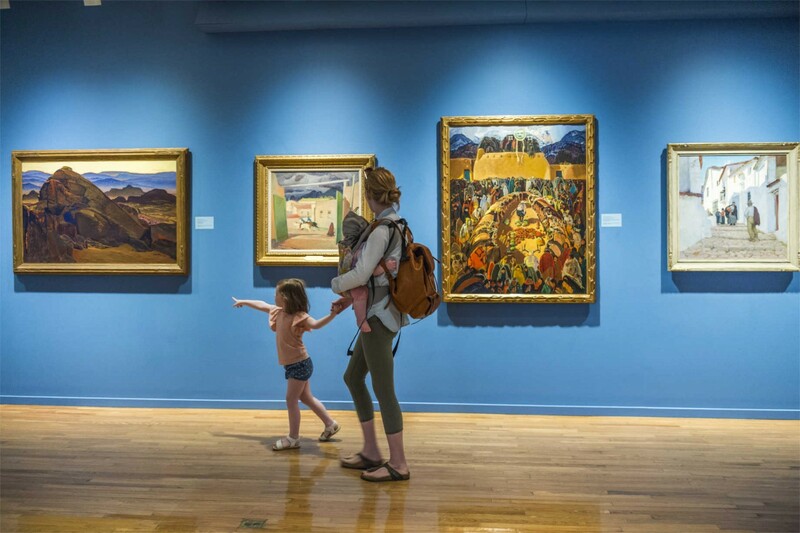 A family explores a gallery at the Gilcrease Museum. Image courtesy of the Gilcrease Museum. 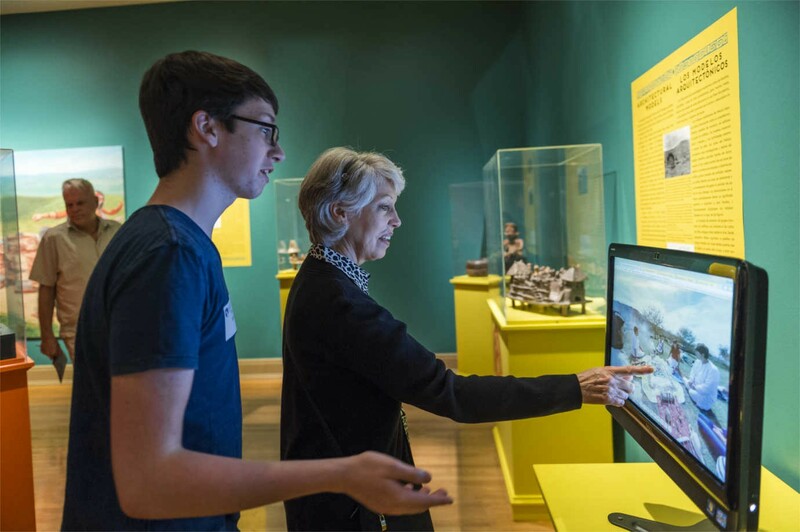 Visitors explore a gallery at the Gilcrease Museum. Image courtesy of the Gilcrease Museum. The Gilcrease Museum is a nationally-significant museum, and one that is of particular importance people of Tulsa, Oklahoma. It is often the first stop for visitors to the city and its Gilcrease on Wheels program takes the museum experience to rural Oklahoma schools. The stability provided by the endowment and its full-time, highly-skilled staff member has had a major impact on the Gilcrease, making it possible for the museum to plan for the future, attend to the continued care of the collection, and ensure that its treasures will be available for use in the present and preserved for future generations.